Image Size: 11 X 14 in. 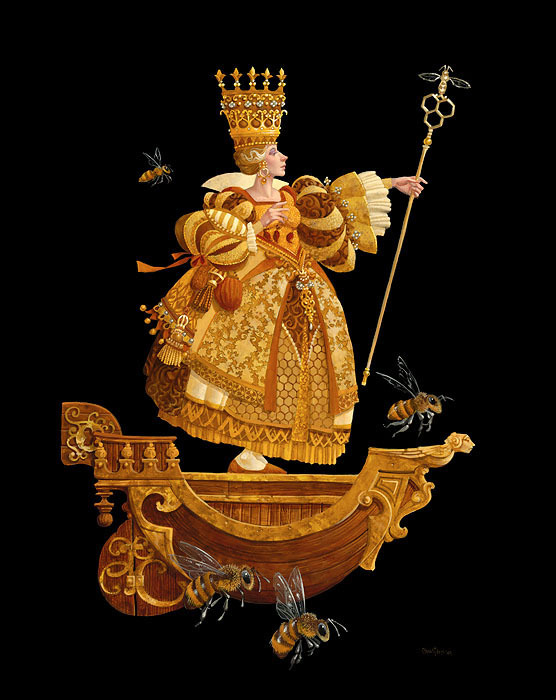 “Queen Bea” began as a color-teaching character for my grandchildren. I was also inspired by my daughters, Cassandra and Emily, who were both painting bees at the time. Bees symbolize some wonderful things: hard work, community and family.